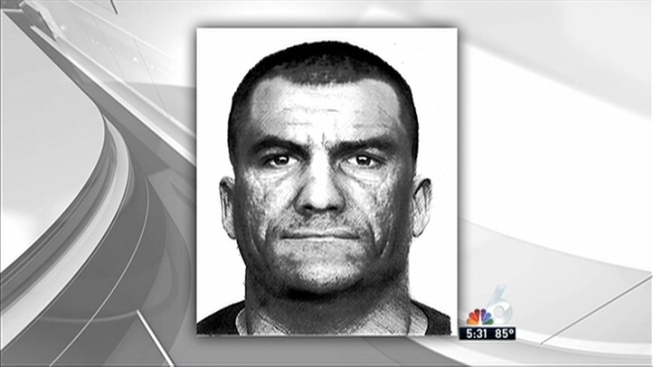 The man abducted, Nawfal Ziane, 45, said he was taken from his home by police impersonators, The Miami-Dade Police Department said. Authorities have released a sketch of a man believed to be a suspect in the abduction of another man, who was found walking barefoot and handcuffed on the Palmetto Expressway last week . The victim, Nawfal Ziane, 45, said he was taken from his home by police impersonators on Oct.11, The Miami-Dade Police Department said. "Our robbery detectives were able to speak to our victim and the victim was able to provide us with enough information to compose a sketch of one of the subjects," Miami-Dade Police Spokeswoman Robin Pinkard. A man found walking barefoot and handcuffed on the busy Palmetto Expressway in Miami Friday morning claimed he was abducted from his home by police impersonators, authorities said. NBC 6's Sharon Lawson has the story. Ziane told authorities that he was getting out of his car at his home on 15073 Southwest 43rd Lane in Miami when three men in police T-shirts and badges approached him from behind, police said. They identified themselves as officers, handcuffed him and ordered him into a waiting vehicle where they fled with him. While the car was traveling northbound on State Road 826, they pulled over and released Ziane at northwest 74th Street after he tried to escape, police said. Pinkard said there was no indication Ziane knew the suspects. Police respond after a barefoot and handcuffed man was spotted walking on the Palmetto Expressway Friday. Police responded to the scene after witnesses reported a disoriented man, wearing a black top and yellow shorts, walking northbound on the shoulder between the 103rd Street and Okeechobee Road exits. 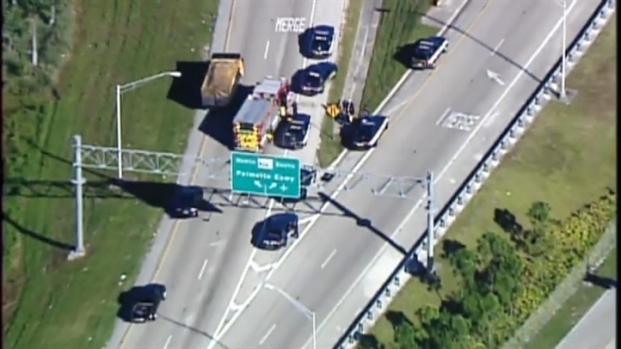 Aerial footage showed crime scene investigators and officers from multiple agencies, including Miami-Dade Police, Hialeah Police and Fire Rescue and Florida Highway Patrol. Police could be seen questioning the man as he sat on the floor, hands still bound behind his back. The sketch of one of the suspects was released Thursday. The incident is still being investigated and police are asking the public to help identify the man in the sketch.